This is a modern reproduction of a rare pack of playing cards dating back to to 1765 and exported to America. 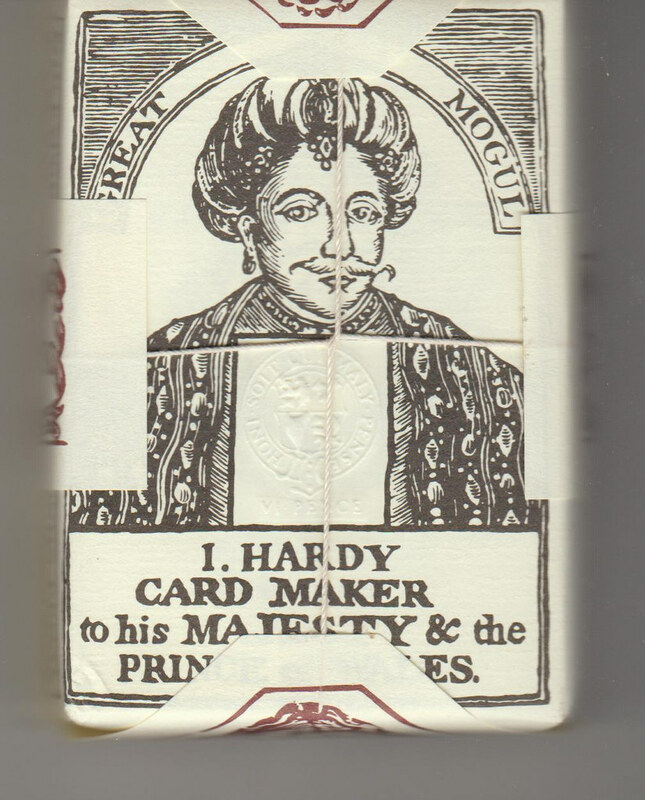 Known as The Great Mogul deck it was produced by I Hardy in England, card maker to the King and Prince of Wales. At that time the wrapper sealed the deck and incorporated a revenue duty of 6d. Opening the pack should have destroyed the wrapper so that it couldn't be re-used. 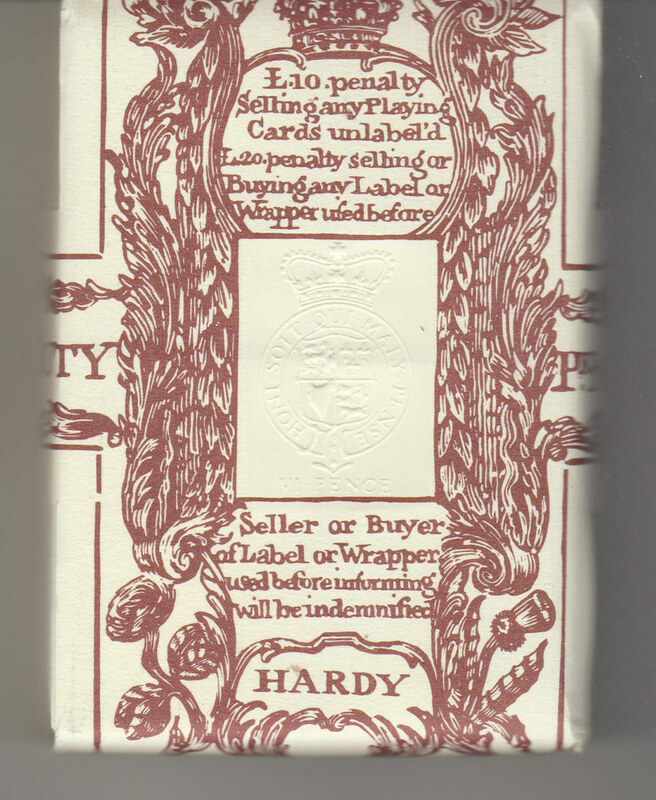 There was a fine of £10 for selling a pack without a duty wrapper or £20 for re-using an old wrapper. This reproduction has been produced to a high standard including the embossed tax stamps and string. Images show front and back.